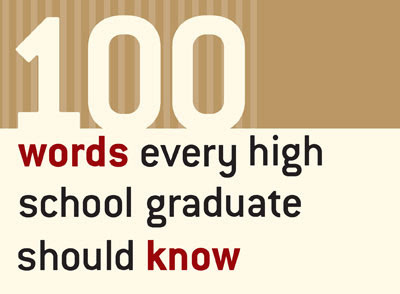 The editors of the American Heritage dictionaries have compiled a list of 100 words they recommend every high school graduate should know. Some of those words must be made up! I suggest if you can use all of those words correctly, you are likely to be the author of the dictionary!